The Faculty of Engineering at SLIIT will present the Young Engineering Expo 2018 for the fourth consecutive year on 11 July at the Faculty of Engineering, Malabe Campus. The exhibition provides budding young first year engineering undergraduates an inspiring opportunity to showcase their answers to real-world industrial problems through a wide range of innovative solutions. Over 250 students will showcase their work numbering over 100 carefully crafted exhibits guided by Madhawa Herath and theSenior Lecturer in Charge of the first year, Prof. Chandana Perera. The participants attendedapre-Expo workshop which showed them how to build a robot, games to build their skills and equipped them with many other emerging technological skills. Many industry specialists from corporate organisations take a keen interest in attending the opening to witness young talent that demonstrate great potential in conceptualising and implementing technical solutions using theoretical knowledge.School children, undergraduate students and parents also make use of the opportunity to appreciate the innovations of the young engineers. The Chief Guest who will grace the important opening is Prof. Lalith Gamage, Vice Chancellor and the CEO of SLIIT while the Guest of Honour is Prof. Lakshman Ratnayake, Chairman of SLIIT. The presence of the Deans of all the Faculties together with academic staff will also enrich the occasion. 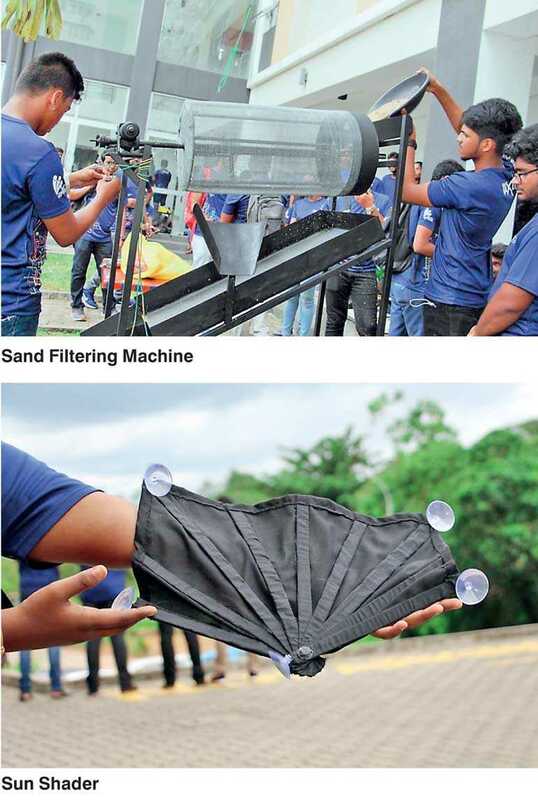 “Young Engineering Expo 2018 presents the ideal platform for our first year engineering undergraduate students to showcase their understanding of actual engineering problems and conceptualising and implementing solutions that work using the theoretical knowledge they have gained,” commented Madhawa Herath, the guide and mentor of the presenting students. SLIIT is a leading degree-awarding higher education provider in the field of Information Technology, Engineering, and Business. SLIIT is also a member of the Association of Commonwealth Universities, UK. The institute conducts academic programs leading to four-year Bachelor of Science Honours Degree programs in Information Technology, Business Administration and Engineering, and three-year Bachelor of Science Degree Program in Information Technology. SLIIT also conducts study programs under license from Curtin University, Australia and Liverpool John Moores University in the United Kingdom, leading to degrees in the fields of Engineering, Computing, Architecture and Quantity Surveying. The four year BSc Engineering honours degree program of SLIIT, allowsstudents to choose one of five major fields of study; Civil Engineering, Electrical and Electronic Engineering, Materials Engineering, Mechanical Engineering and Mechatronics. Further information on the event can be obtained from the official Facebook page titled ‘Young Engineering Expo’.